Home Under Armour Camps Novi Sad ESW Camp Powered By Under Armour: Done'n'Done! Novi Sad ESW Camp Powered By Under Armour: Done'n'Done! 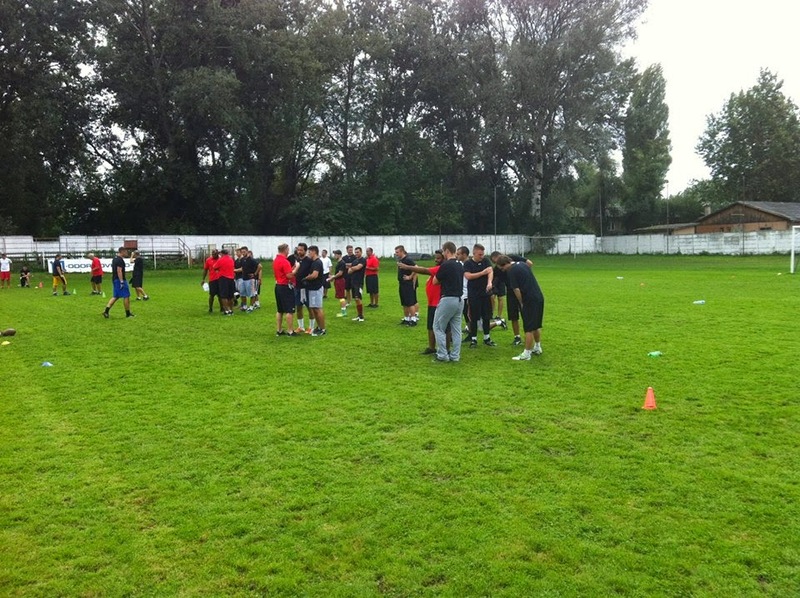 Sept 12 and 13th, 8 NFL and NFL Europe coaches were in Novi Sad hosting a camp for players in the region. Camp in Novi Sad, Serbia, was the only camp out of 6 being hosted around Europe that didn't have their leagues support and was not "recognized" by the league. 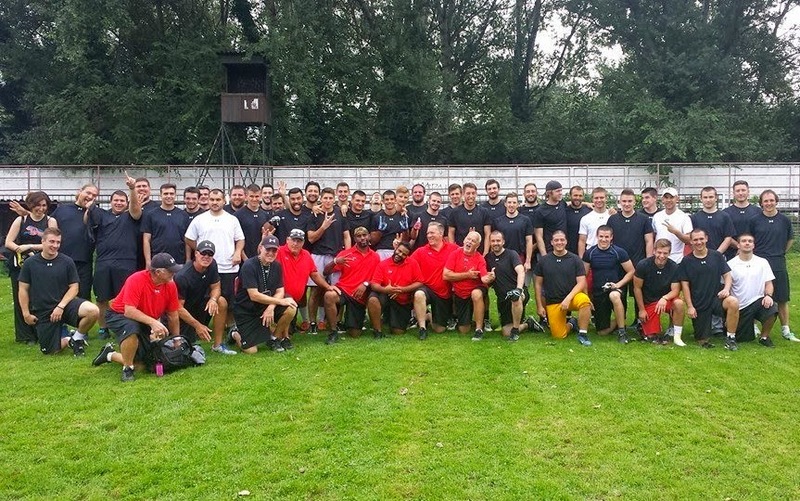 Nevertheless, other leagues in the region showed their support, as well as the Wild Boars from Kragujevac who jumped in and helped in a major way - by sending some of the necessary props. Players arrived from Hungary, Romania, Croatia, Bulgaria, Slovenia, and, of course, Serbia. Assistant coaches were also mixed from all mentioned countries. Day 1 was the classroom day, which was based on Q&A, where Day 2 was the field day. Since football in Eastern Europe is still on a developmental level - there were many obstacles to overcome, however, everything went as planned. We caught up with one of the attendees, QB Rastko Jokic, who is also the league offensive MVP 2nd year in a row: "It was a great pleasure to work and learn from big names such as Coach Crosby and Coach Simmons. Although the field day was only one day - I managed to learn a lot from them."